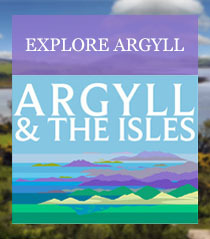 Argyll and the Isles is a glorious coastal region of glittering sea lochs, islands, hills and glens just waiting to be explored. It’s divided into eight areas, each with a distinctive character and offering a unique experience. Get away from it all on the beautiful islands of Mull, Iona, Coll, Tiree, Islay, Jura, Gigha and Colonsay, delve deeper into Scotland’s history in Lorn and Kintyre, travel through Cowal’s rich landscape of contrasts, enjoy biking and hiking in Loch Lomond and Helensburgh and discover gorgeous gardens and Victoriana on Bute. 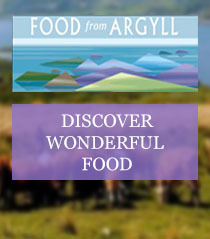 With a vast mainland area as well as 23 inhabited islands, Argyll and the Isles is a region with everything. Whether you want to bag a munro or spend your time on the coast, you ‘ll never run out of things to do in Argyll and the Isles. Dine on the freshest seafood and savour some of the world’s most famous Scotch whiskies. Become a nature detective and try to spot a sea eagle, corncrake or a thousand-strong flock of barnacle geese. Sail into secluded anchorages and watch the night sky glitter. Kayak in turquoise waters and walk in the wilderness. Marvel at early standing stones and visit castles of the famous clans. You’ll be spoilt for choice in this glorious region. Argyll and the Isles is home to mountains, epic cycle trails, spectacular dive sites, some of the best surfing in the country, three links golf courses, 14 world-class distilleries, as well as red squirrels, Scotland’s only wild beaver population, seven National Nature Reserves, a National Park, 20 glorious gardens, 60 castles and 3,175 miles of coastline.